On this episode of The Fanboy Garage, we unpack our feelings on the latest developments regarding James Gunn and recent comments from actor Dave Bautista about his contract with Disney if Gunn’s script isn’t used for Guardians of the Galaxy: Vol 3. From there, things take a twist as we explore and discuss the role of comedy in comic book movies, examining the broader Guardians of the Galaxyfranchise, as well as the roster of MCUand DCUfilms. To close the show, we revisit our comments on the Disney/Fox merger post Disney’s earnings earlier in the week and talk about Hulu, the Disney Streaming service including the upcoming live-action Star Warsseries from Jon Favreauand the recent casting of Ruby Roseas the CW’s Batwoman. There’s lots to cover in this episode so grab your shovels and dig in! Be sure to tune in and subscribe where all great podcasts are found and don’t forget to join the conversation by tweeting us @TheFanboyGarage. 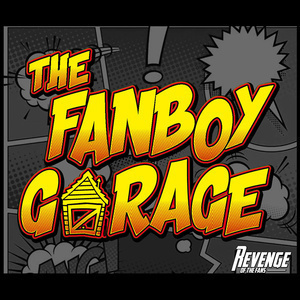 If you’re also looking for the hottest TFG gear, be sure to stop by TheFanboyGarage.com and if you like what you’re hearing, don’t forget to leave them a five-star review and enter for a chance to win The Death of Supermanand/or Deadpool 2.